I read Recovering from Multiple Sclerosis: Real Life Stories of Hope and Inspiration by George Jelinek & Karen Law during an attack and found this book very helpful during that trying time. 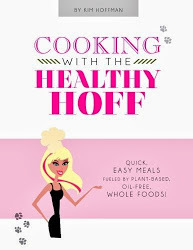 The book tells the life stories of twelve very different people who Beat MS through the diet & lifestyle changes prescribed by Jelinek. It's an interesting mixture of backgrounds, symptoms and journeys - all of which provided me with nuggets of new insights. I've made this book part of my Beating MS Library because sometimes we need a little inspiration. We need to hear about others who are going against conventional western medicine and are Beating MS! Sometimes it helps to know that we are not alone in this battle; that there are like minded others out there and that doing well. Sometimes stats are not enough - we need to be able to put a recovery story to a real person. Dr. George Jelinek is a doctor who overcame his multiple sclerosis and went on to establish the MS support website, Overcoming Multiple Sclerosis. 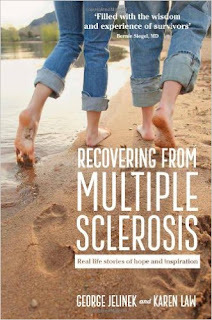 While this book hints at Jelinek's protocol, to get the full detail of how he overcame MS, you'll need to read Overcoming Multiple Sclerosis: An Evidence-Based Guide to Recovery.